Check out what's happening at the 2018 Cascades Wine Festival. Full entertainment line-up. 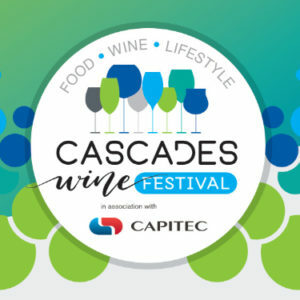 The Cascades Wine and Food Festival is taking place at the Cascades Lifestyle Centre from 26 - 27 October 2018. Tickets on sale now from the centre info kiosk and online from Quicket. Find event details here. Apply to be a vendor at the 2018 Cascades Wine Festival. View the details here and apply online.